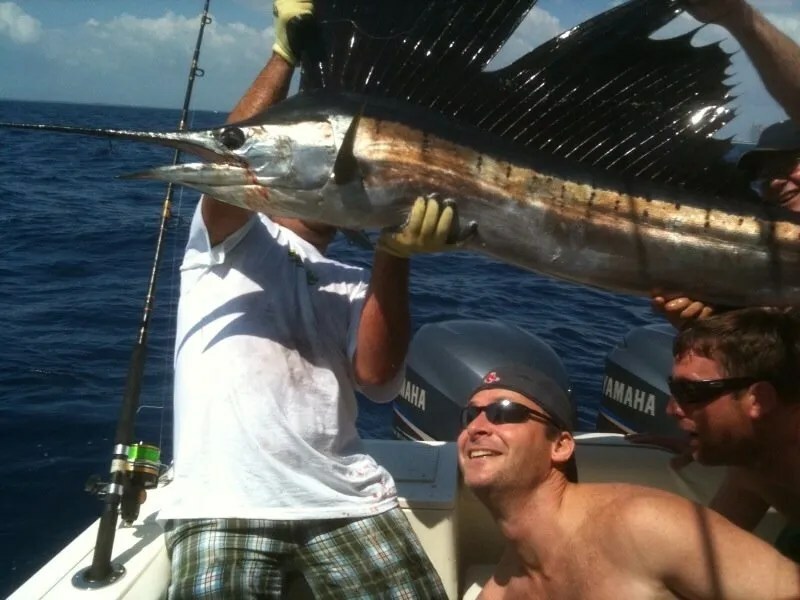 Home / Fishing Reports / An Epic Sailfish..could be your next! One of Miami and South Florida’s most exciting game fish is the Atlantic Sailfish, previewed here is one of the biggest Sailfish caught on the Blue pursuit! Winds were howling and the baits were swimming perfect as the kite was holding them just where they needed to be, and crash!! !The sail shot straight out of the water and the game was on!! Almost a 100lb sailfish estimated,…this is the time! !